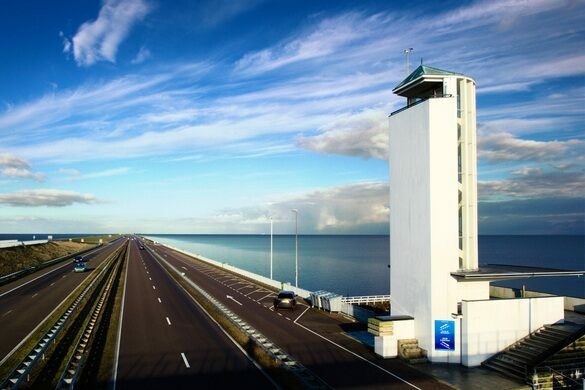 The Afsluitdijk is a causeway linking together the provinces of Friesland and North Holland in the Netherlands. 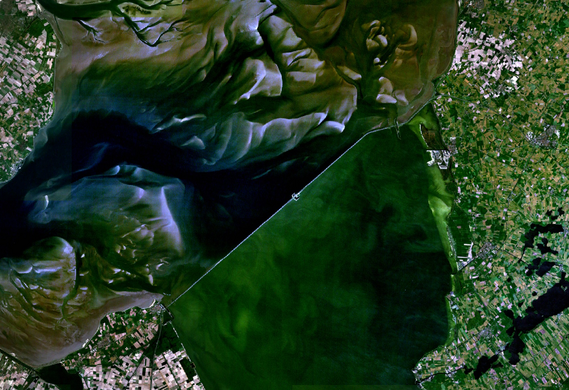 Built to protect the flat, coastal country from flooding, the Afsluitdijk dammed the Zuiderzee, an inlet of the North Sea, and created a freshwater lake called the Ijsselmeer. This impressive collection of rare books on ancient mysticism inspired author Dan Brown. 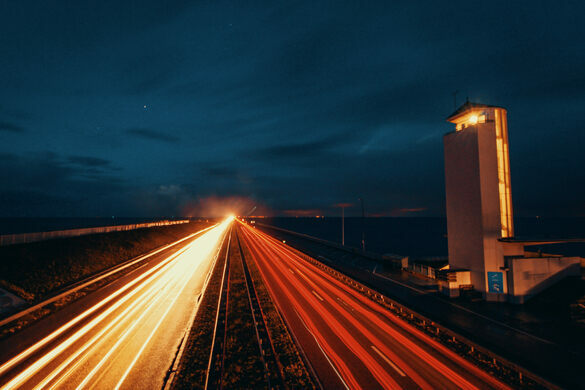 The Afsluitdijk stretches 20 miles across the water, just 25 feet above sea level. The impressive infrastructure project took over five years to build, officially opening in 1933. 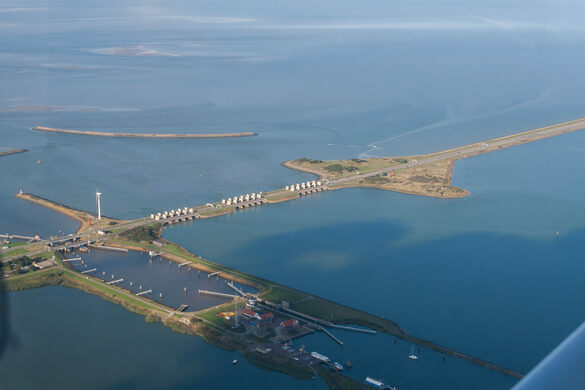 The dam was formed by depositing boulder clay from the bottom of the Zuiderzee along the barrier before adding layers of basalt rock and sand. Over 5,000 workers were involved in a daily basis, which helped reduce some of the unemployment during the Great Depression. 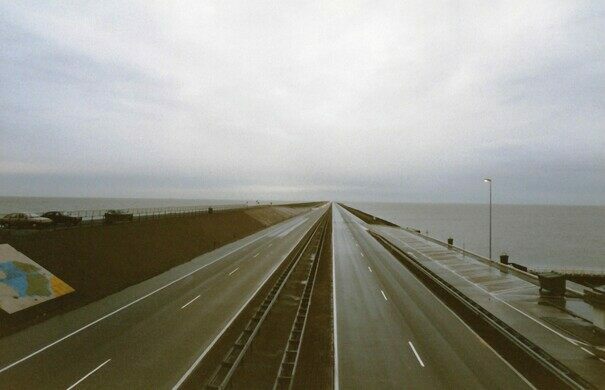 The German army attempted to take the Afsluitdijk during World War II, in the 1940 Battle of Afsluitdijk. They bombed the nearby fort, and then sent shock troops on bicycles to seize the dam. 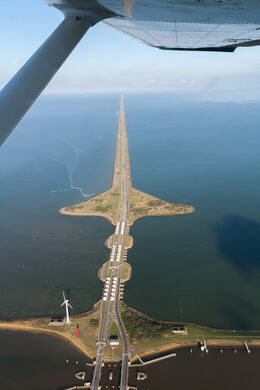 However, a strong defense resulted in the Afsluitdijk remaining in Dutch hands until the Dutch surrender later that year. Drive from Noord Holland (Den Oever) or from Friesland (Cornwerd). 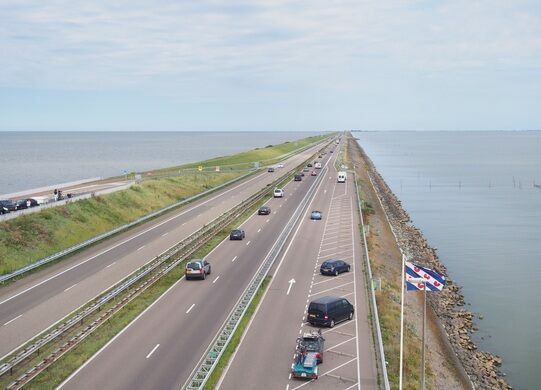 It is also possible to take the bus 350 to Leeuwarden or Harlingen from Alkmaar across the Afsluitdijk. The bus goes from Leeuwarden toward Alkmaar. The bus stop on the Afsluitdijk is Kop Afsluitdijk. It is also possible to cycle across in the bike lane. There is a small structure with a restaurant in the middle where visitors can get a cup of coffee or a snack while viewing photos of the causeway's history. This Dutch statue is a monument to the fictional shrew who brought doom to the city of Stavoren. Live out your childhood construction fantasies in this one-of-a-kind gyrating hotel. A lake at the bottom of the ocean.